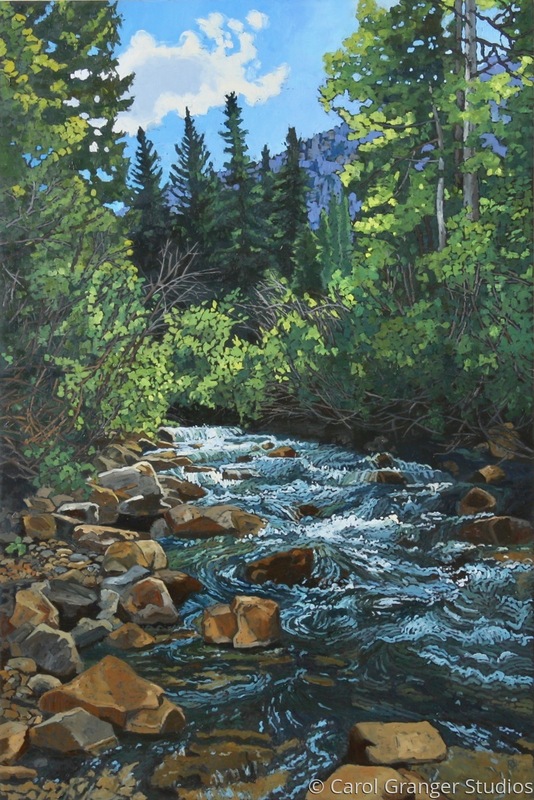 The inspiration for this painting is from a hike at Snowbird Ski Resort in the summer. there is a beautiful stream just below the ski Lodge with a small trail. It was a beautiful day and view of the stream rushing over the rocks was stunning.